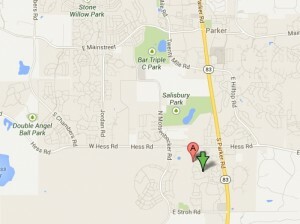 The Stroh Ranch neighborhood is south of Main Street and Hess Road on the west side of Parker Road in Parker, CO. The town of Parker has done an incredible job incorporating trails, open space and walkability into their subdivisions and the Stroh Ranch neighborhood is no exception. Many of the sidewalks are surrounded by green space and are 2 people wide. Additionally, the Stroh Ranch neighborhood is bordered by the Cherry Creek Trail to the east and has incorporated many access points into the neighborhood plan. The community center is the highlight of the Stroh Ranch neighborhood. 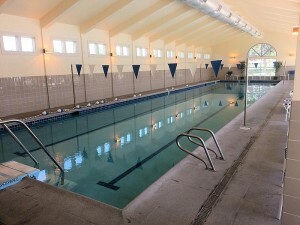 The Stroh Ranch swimming pool and recreation center is called Front Range Recreation Center and is located at 19301 J Morgan Blvd, Parker CO 80134 . 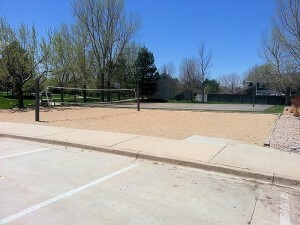 The website for the Stroh Ranch Recreation Center is http://www.frontrangerecreation.com/ . The awesome facility surpasses similar items in most other neighborhoods. And the HOA dues seem to be relatively low in comparison. 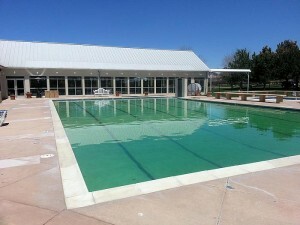 There is a huge outdoor pool with lots of outdoor seating at the Stroh Ranch Recreation Center. There are basketball courts, volleyball courts, and a playground at the Stroh Ranch Recreation Center. 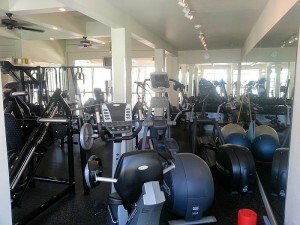 T he fitness center and meeting rooms are top notch at the Stroh Ranch Recreation Center. And there is even an indoor pool.